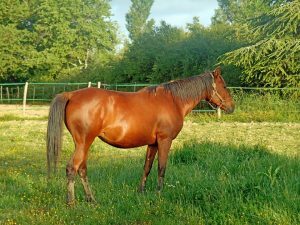 Welcome to our horse breeding website. We are delighted to introduce you to a website that talks about these beautiful equine creatures and everything that happens around them. Throughout the website, you are going to encounter plenty of information that will help you to understand why horses are such a sensation. This is a human-directed activity that helps pair carefully selected purebred horses for mating. Its aim is to always achieve a specific type of breed with all the desired characteristics. For example, in the event a stallion is fast on the racetrack, it can always be a good candidate for siring future generations. Breeding also helps eliminate weaker and undesirable characteristics. People have been breeding horses for a long time to get horses with the most desirable traits. These horses are useful for various activities such as sports. Breeding can happen naturally, or artificially depending on the purpose of the exercise. On this website, you are going to learn more about what is happening around some of the most spectacular and talented horses in the world. From Australia to Japan, to Ireland, to the US, we will keep you updated on helpful information and news. We will also offer you different histories of different horses as we try to figure out what is unique about them. This will involve diving deep into their lineage and find more information about their dams and sires. For horse lovers or people who have houses, we will give you more information on how to take care of your horses, how to breed them, and how to ensure that they stay free of injuries or diseases. Our information is carefully selected to fit a wide range of audience and interest you enough to help you learn more about these equine beings.